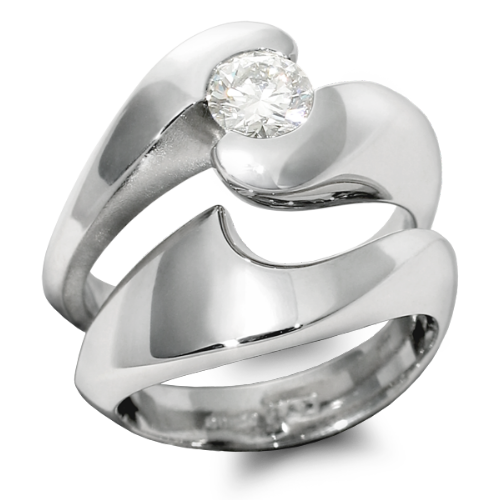 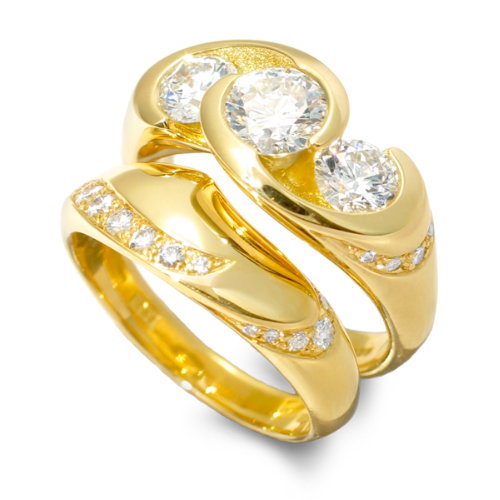 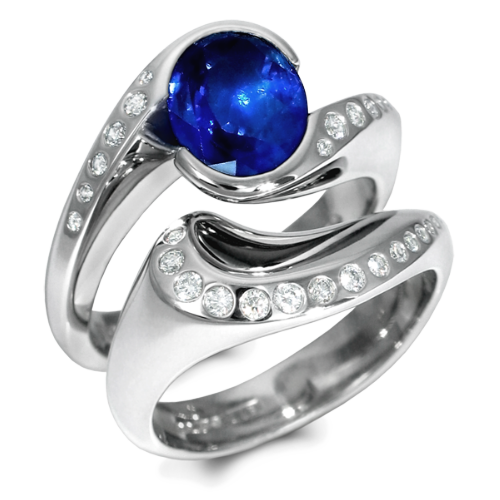 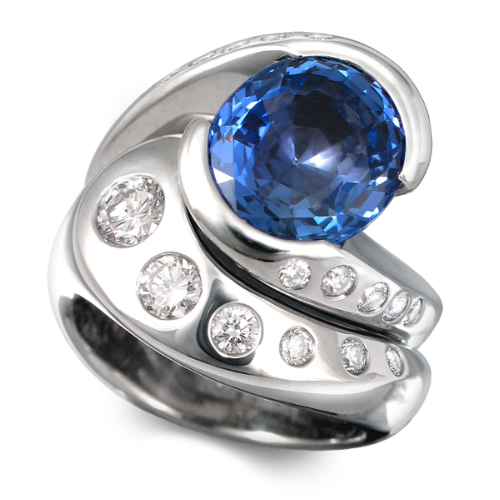 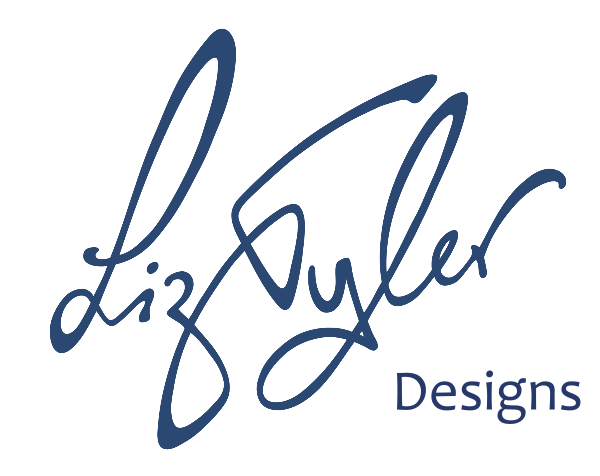 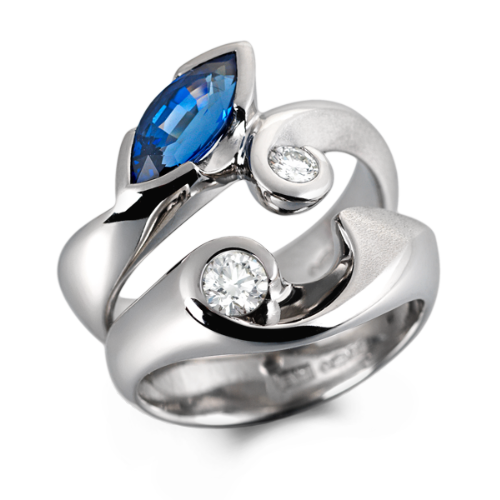 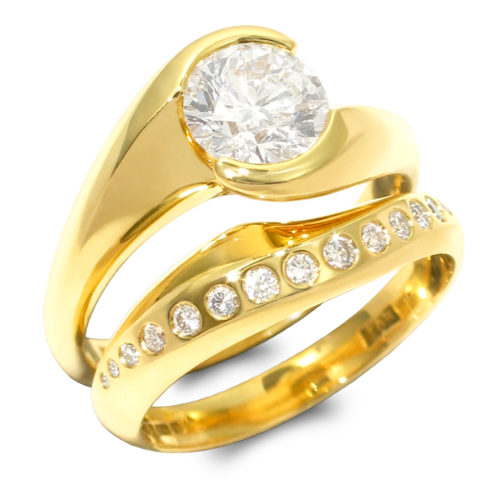 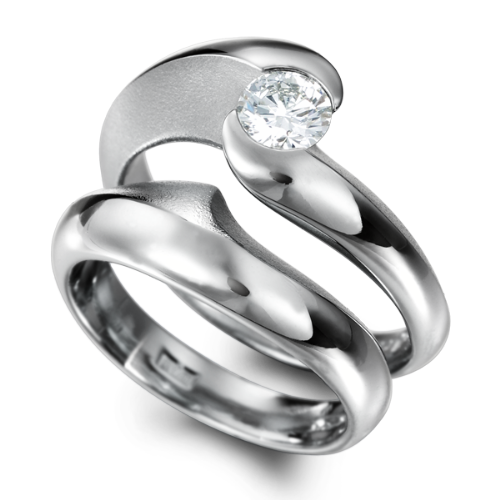 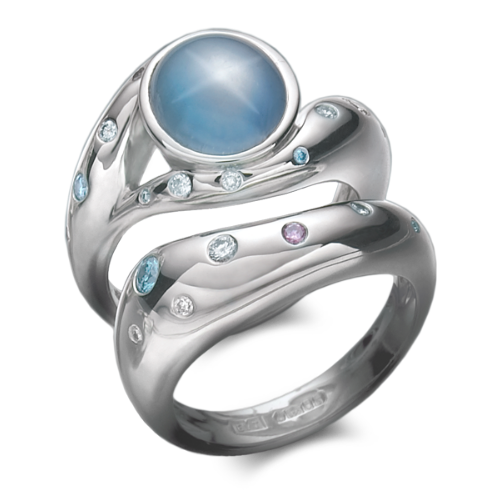 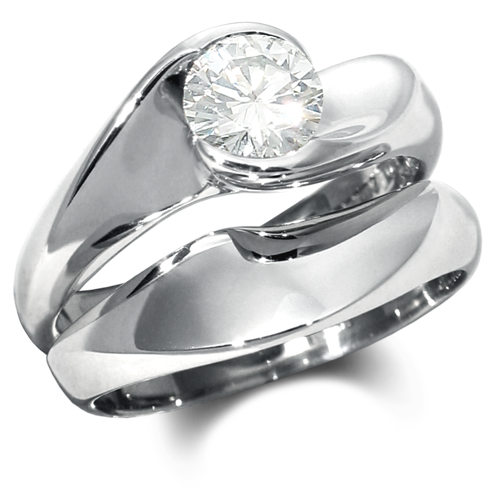 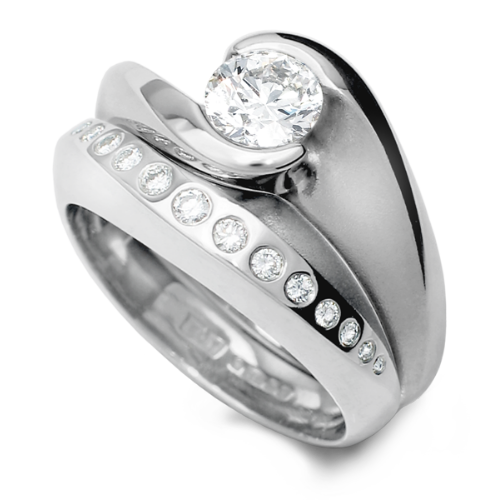 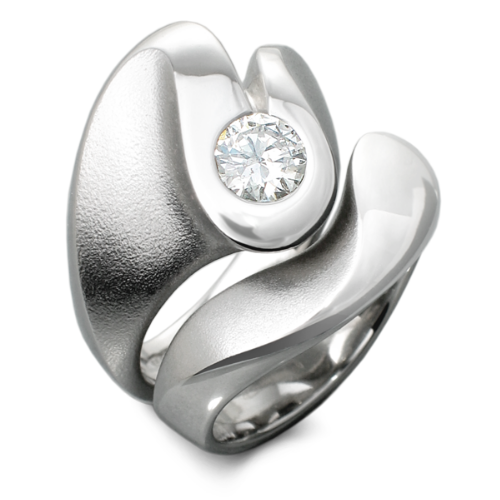 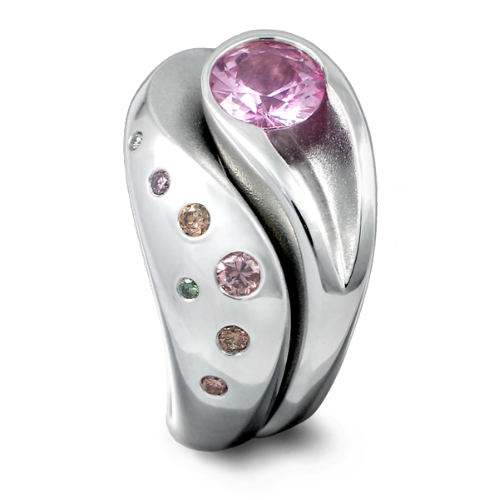 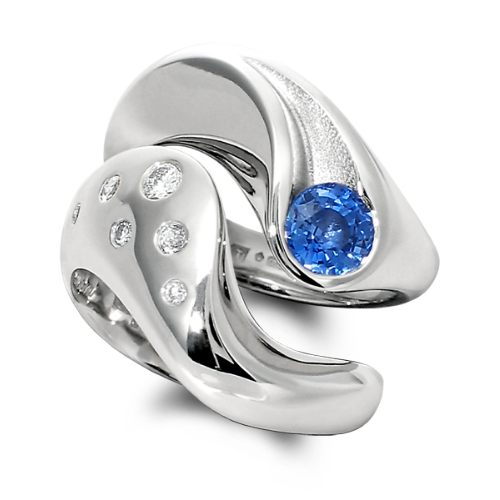 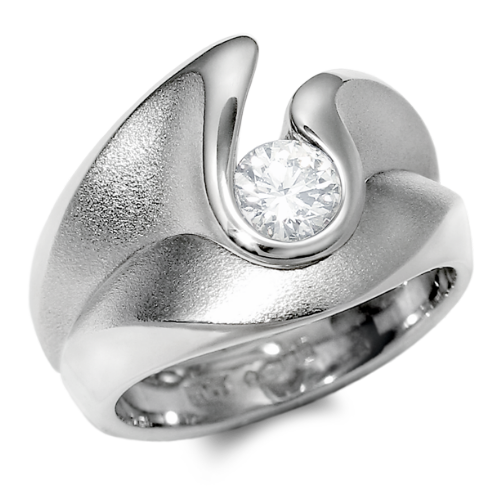 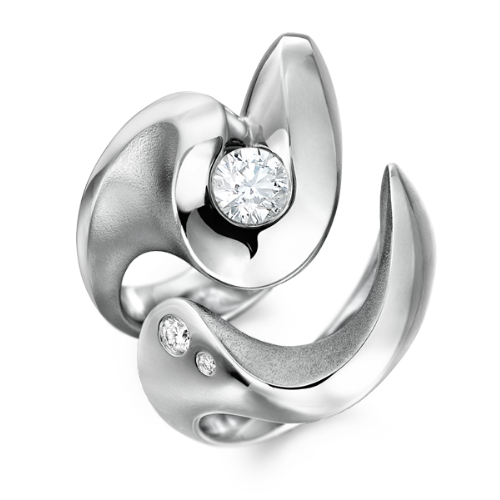 Liz specialises in creating harmonious ring sets in 18 carat golds and platinum. 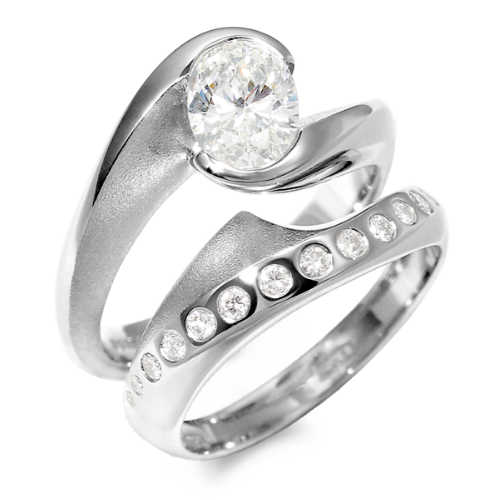 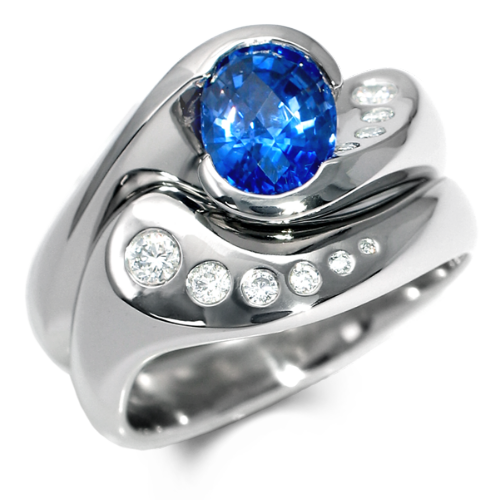 Certificated fine diamonds and fabulous coloured gemstones frequently form the focal point of the engagement ring from which the design flows, with the setting edge an integral part of the piece. 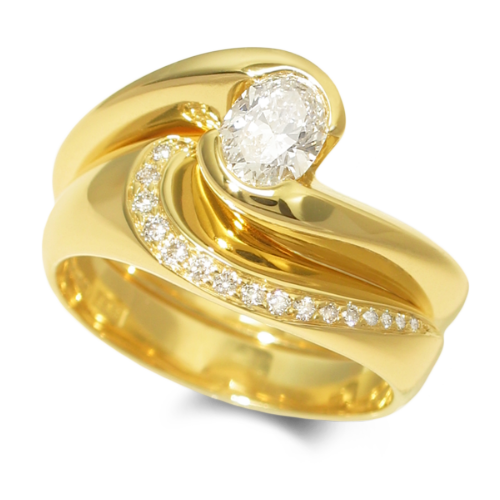 The wedding ring is shaped to snuggle together with the irregular shaped engagement ring, sometimes set with fine graduating diamonds. 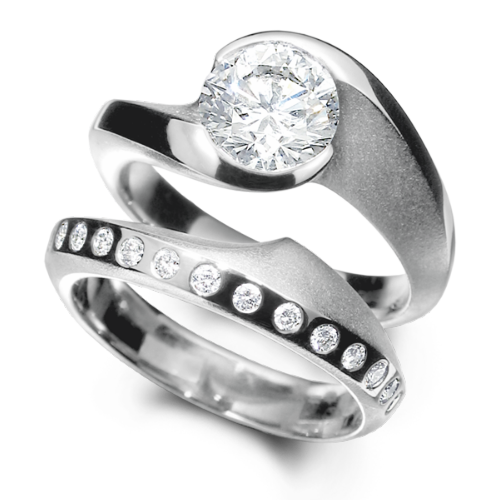 Having trained as a diamond sorter Liz can advise you on the cut, colour, clarity and size of your diamond. 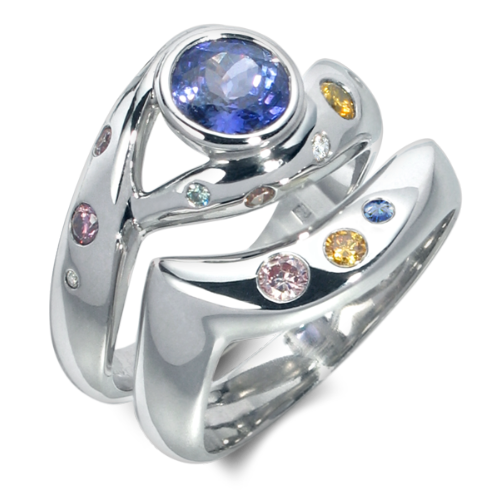 Her work experience and FGA training has introduced her to the full range of coloured stones, unusual cuts and ethical suppliers. 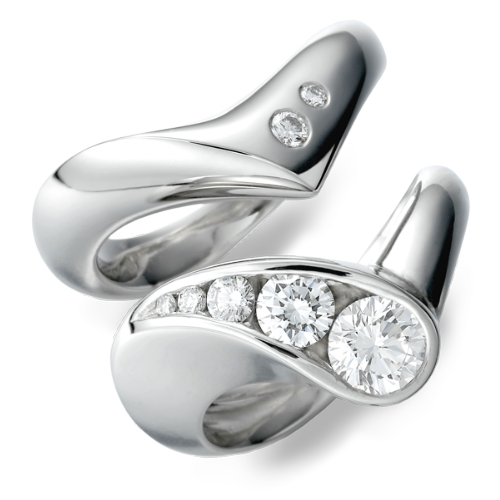 Items shown in the gallery may be available in different metals other than seen.